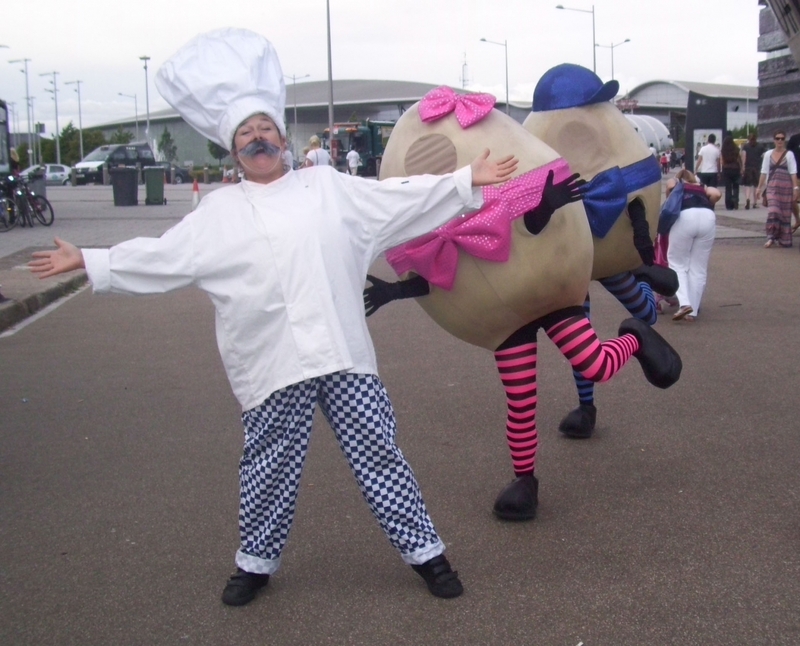 Our dancing chef has his work cut out trying to keep Mr & Mrs Egg under control, who will run amok whilst spreading their joy of dancing to everyone they meet. Mr & Mrs Egg are an interactive and highly visual walkabout act, who can pose for photos and perform a choreographed dance show, whilst causing mischief for the our chef. "Mr & Mrs Egg were brilliant and were busy all day - would definitely book again"
"Just to say a huge thank you – the eggs and their chef were wonderful"
"Thank you so much, Mr & Mrs Egg were great."